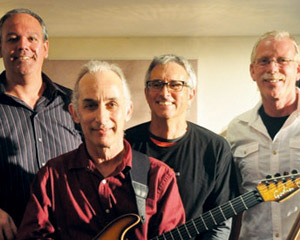 PowPAC is pleased to present the first of our new Guest Performer Series, Speed of Sound, a jazz band that plays a wide range of musical styles, including blues and traditional, contemporary, fusion and Latin jazz. This award winning band combines sophisticated high-tech electronics with acoustic instruments to create rich and diverse musical textures, but everything you will hear is live, with no sequencing or pre-recording. Billboard's Musician Magazine recognized Speed of Sound as a winner in their "Best Unsigned Bands Competition. Los Angeles Times reviewer Dirk Sutro said, "Speed of Sound combines safe, soothing qualities inherent in most commercially successful light jazz with enough musicianship to entice more serious listeners." Please join us for what is sure to be an entertaining musical experience.